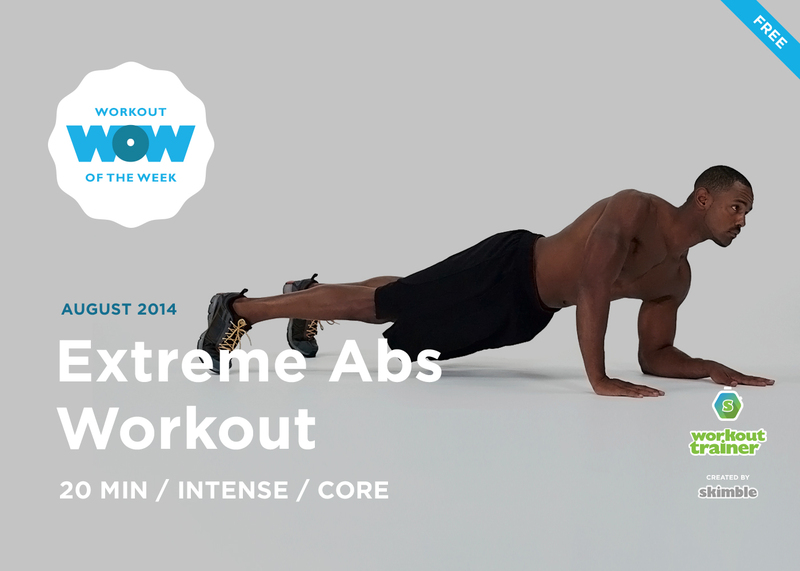 Work your abs from every angle in this extreme abs workout! Melt some midsection fat and really sculpt what’s left. While this is a bodyweight-only workout, we recommend setting up with an exercise mat to add a little support as you coast through every intensive crunch. Your abdominal wall will thank you tomorrow! Do you have a fitness resolution? Make progress towards achieving your goals with Skimble’s top fitness apps and supportive community. If you’re new to Skimble, our Workout of the Week challenges offer you fresh ways to be fit. Download Workout Trainer on your Android & Apple devices and do your first workout! Remember, if you want to stay up-to-date with our Workout of the Week challenges, be sure to have your Workout Trainer notifications turned ON in the app!